There are some ways like Thunderbolt Hack for Coc or FHX Server For Coc but i don’t use both if any one try comment below. 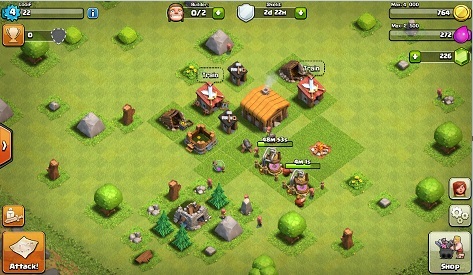 Coc Game is Very Popular game in World and every one love to play basically Clash of Clans is free to play for every one but in game you need gems to complete tasks Without any wait for these purpose you need gems to finish the tasks but you have limited gems if you spend all limited gems then you want more gems to finish other tasks when you need more gems you need real cash for gems to buy from supercell issue is many people don’t want to spend money lot of people try to find the way to get free gems actually i check my self every tool is fake there is no way to get free gems. When i search Clash of Clans Mod Unlimited Gems i found lot of sites offer Free Gems Some offer’s Download APK File i try almost all when i try to download it’s says fill the Forum and get Unlimited gems i try but end is i waste my time. The Only way to get gems is buy or use these tricks to save Clash of Clans Free Gems if you have any trick to get free gems comment below and i share on my blog.